Well, the Bye Week is over, the team (and hopefully all of you) are healthy and refreshed and ready for some more football in 2017. For the Packers, more so than most seasons, the Bye was desperately needed. Reeling and injured after the loss of Aaron Rodgers, the team needed the time to regroup, find their new identity, and figure out a way to scrap and claw their way through the rest of this season without falling out of the race. The rookie running back has become a sensation in Wisconsin the past few weeks with over 125 yards in his first two starts as a professional. And now he is the focal point of an offense looking to rebuild itself with a new quarterback in. 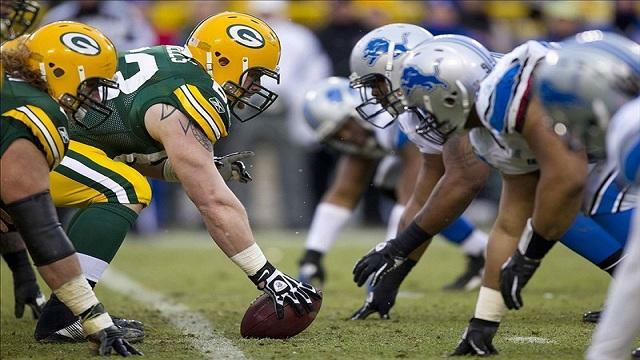 Look for Jones to get the ball early and often to wear down a decent Lions defense as the Packers look to control the line of scrimmage and the clock. Finally activated from the Physically Unable to Perform (PUP) list, the rookie from Wisconsin should see his first professional football action against Detroit. The biggest weakness of this Packers defense is the inability of the pass rush to finish. They get there more often then we realize, but they can’t quite get the job completely done. Biegel could help that. He was a finisher in college and has that edge that you want in a pass rusher. In limited opportunities, he can make a mark on defense while also playing a ton of special teams. As the weather gets colder, the special teams become more and more important, as can the presence of elite speed. And as the guy who is returning both kicks and punts, Davis has exactly what could help break a game. He is the fastest guy on the team and has a knack for finding creases in the return game. After taking over for Jeff Janis a couple weeks ago on kickoffs, he should get some opportunities there as well. 1) The Packers only score twice on offense, but once on special teams. The offense under Brett Hundley is still a work in progress. Look for a throwback system focused on the run and time of possession. That means low scoring. But the Packers will score in other ways. There’s always a chance for a defensive score, Matt Stafford still makes the baffling throw every now and again, but I’m looking toward Trevor Davis. This is the week where he gets a chance on a punt return and makes the Lions pay, taking it to the house in the third quarter to give the Packers a 21-14 lead. 2) Aaron Jones outrushes the entire Lions team. This one isn’t as bold. With the ball control offense, the Packers need to put up some big rushing totals. And Aaron Jones can be a workhorse. That’s why I think he runs for over 130 on 25-plus carries and a score. As for the Lions, they love to sling the ball around and have better weapons at receiver than in the backfield. That’s why their total winds up around 95 or so on the ground. The Packers ride Aaron Jones and an opportunistic defense to a 24-21 Walk-Off Victory. Mike Wendlandt is originally from Iola, Wisconsin and graduated from Drake University in 2015 with a degree in History. With a significant journalism background both in writing and broadcasting, Mike can be heard as the play-by-play voice of Central Wisconsin High School sports on WDUX FM 92.7 and on Twitter @MikeWendlandt. 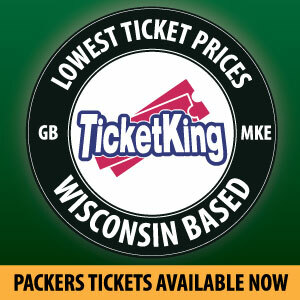 Mike Wendlandt is a writer covering the Green Bay Packers for PackersTalk.com. This entry was posted in Authors, Mike Wendlandt, Packers 2017-2018 Season, Seasons and tagged 2017 Season, 3...2...1, Detroit Lions, Green Bay Packers, Monday NIght Football. Bookmark the permalink.